Deciding on what you are going to study is just as important as where you are going to study. Before simply choosing a course such as Bookkeeping courses, think about what you want you get out of the course and the type of qualification that you’re longing for. Are you aiming to just receive the qualification, or are you more interested in studying the course to build towards your career goal? Compare the course content – Take a look at the different courses available in the same subject field. Compare the course structures and what each of them entails. Compare the course providers and the locations – What do they offer you? Are there any benefits? How far will you have to travel to get to the college? Is it really worth your while to travel there every day? Ask others what they think – Talk to your friends, teachers and siblings. Ask their opinions about the course. What do they think about the quality of the course, and the qualification you will get? Find out what the course requirements are – Do you have the necessary level of education, knowledge and skill to study this course? Find out about prospective jobs – Will you be able to pursue your dream job with this qualification? Will you be able to earn a good salary? Is there potential for promotion and higher management positions? If you’re interested in starting a career in the business management or finance field. Deciding to register with the ICB will give you the best opportunity to study a variety of streams and finish with a recognisable qualification. They are well known and reputable in the industry and a qualification with them will make you more employable. Many of the courses accredited by the ICB provide you with a scarce skill giving you the best chance at starting a career. 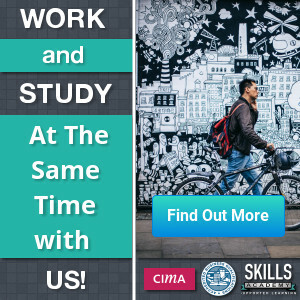 You can read more about distance learning and ICB courses on Skills Academy’s ICB Distance Learning Courses page, or on Business Management courses here. TWP Academy specialises on Accounting and Bookkeeping Studies. If you’d like to see a full list of courses offered at TWP Academy, feel free to visit their courses page on their website. All these courses form part of Business Administration. Business Administration covers many different fields and topics like finance, marketing, and more.